about”Pari-Match” is a betting company, which began its history in1996. After more than 15 years had elapsed, this small betting company has transformed into an international gaming network of more than 400 business units. Our offices operate in Russia, Belarus, Moldova and Georgia. As one of the leaders in the CIS in the gambling business, we strive for continuous and proactive improvement of technologies of providing services, increasing the number of daily sporting events, expanding the list of leagues and championships, as well as games and entertainments. “Pari-Match” is a reliable, time-proved betting company where you can always make a winning bet on the favorite sport, championship, football club. 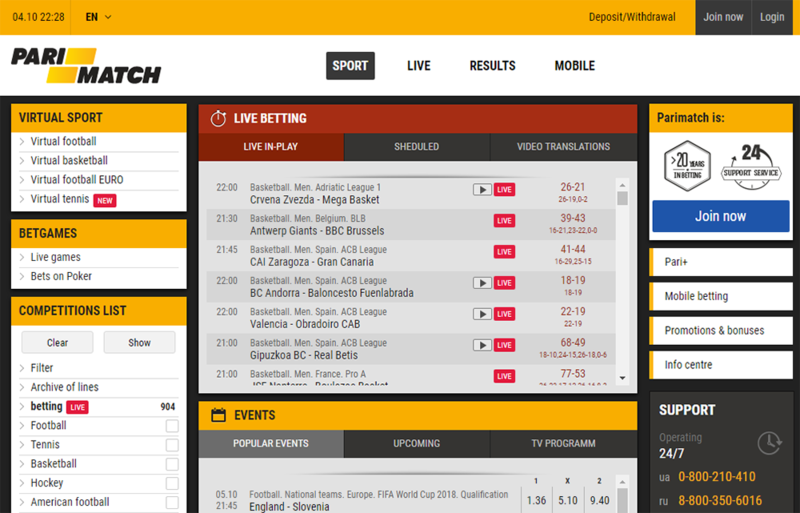 “Pari-Match” is betting 24 hours a day, “Live betting», current sports news and tournament tables, statistics and analytics. More than 20 sports and 60 countries, 200 leagues and 600 sporting events every day, on which you can make a bet. And this is not the limit. We strive to be better. One of our main goals is the continuous development and enhancement of our features and services we can offer you.